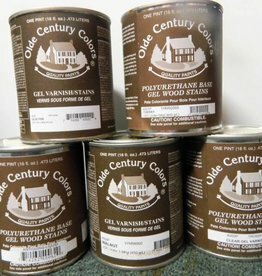 Olde Century Paint - Between Us Sisters, Inc.
Olde Century Colors paints have been formulated to lead the renaissance of 18th and 19th century architectural interest with unsurpassed quality and color selection. 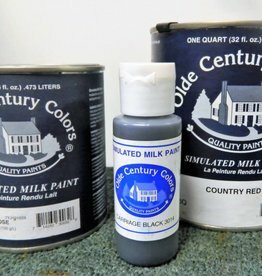 Recapturing the tradition of the early American paint craftsman, our milk paints, acrylic latex paints and gel stains and varnishes are manufactured in small batches with the same meticulous attention to detail as our skilled forefathers. Olde Century Colors have been carefully selected from 18th and 19th century architectural examples. These warm, rich earth tones reflect a gracious past and provide contemporary elegance. This careful selection process is followed by our unique pigment grinding process and is then guided through the time honored method of batchmaking. This process coupled with the finest available raw materials sets the standard for Olde Century Colors..."First in Quality and Performance." Specifically formulated for all painting requirements from interior and exterior architecture to fine furniture. Performance is state of the art while the paint will leave a subtle brush stroke in the dried film, a feature characteristic of hand crafted batches of the 1800s.